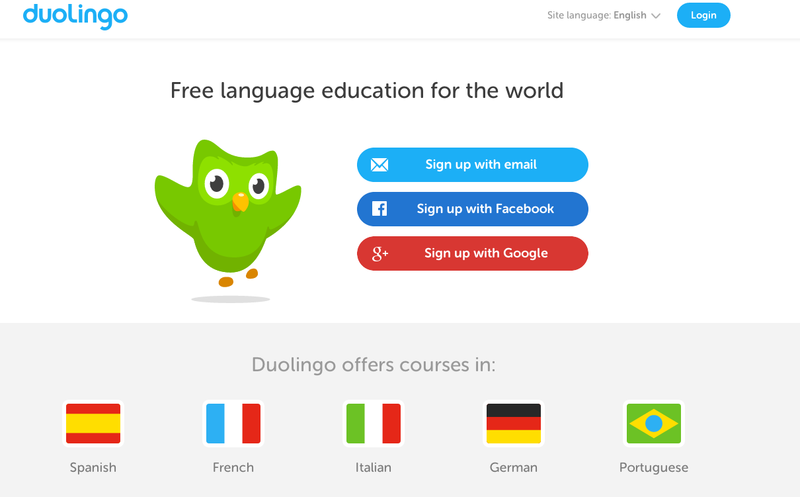 Duolingo app: Could learning a new language grow your business? Did you know you could learn a new language in the same time it takes you to play Candy Crush? Instead of spending your downtime embarking on the delicious and completely addictive candy puzzle adventure that has captured the attention of 92 million daily users, you could learn Spanish, French, Italian, German or Portuguese. Have you ever considered the potential growth your business could have if you picked up another language? Learning a new language is hard. It takes time, concentration and lots of practice. That is why I was so excited when I found Duolingo, an app that makes learning another language way more fun and easier than I remember it being in school. Each lesson improves reading, writing, listening and speaking skills and only takes a little over a minute; which is why it has become my go-to “time killing” app. I wasn’t surprised to learn it was Apple’s 2013 App of the Year. If you are interested in expanding your business with foreign buyers or want to attract more clients in a market you haven’t been able to tap into because of a language barrier, I highly recommend trying out this app. Speaking more than one language good for business but it is also good for your health! USA Today recently reported it may delay dementia. So next time you are waiting for a client, give your brain a workout and enjoy learning a new language. ¡Buena suerte!